When you think of camping gear you probably think of things like sleeping bags, cast iron pans, and hot dog roasting sticks. But your most important gear, by far, is your camping trip planner. The best system I’ve found is to use a Bullet Journal to plan a camping trip. How Do You Plan a Camping Trip? Create a camping meal planner. There are plenty of ways to organize and document your travel plans. Online and phone apps. Random slips of paper. Email. A cluttered mass of all three. This is what I used to do… A few notes here, reservation confirmations there, and things I surely wouldn’t forget floating around in my brain. I found out, rather quickly, that this doesn’t work. Because phones die, paper gets lost, and email isn’t always accessible. And I won’t even go into how much you forget when you are busy and trying to finish packing! 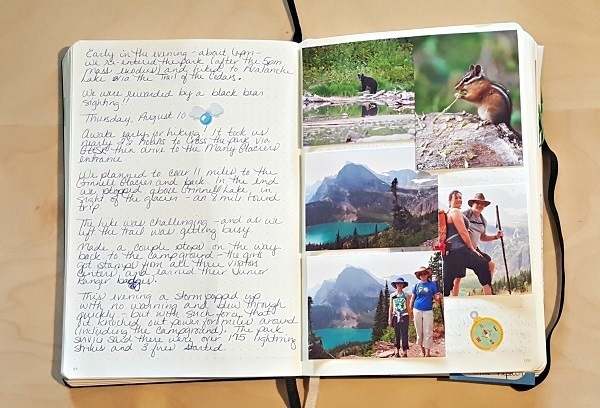 Last year I used my Bullet Journal as a camping trip planner for our big trip to Glacier National Park. It worked so well that I’ve used it for every trip, of every type, ever since. The most important function of a camping trip planner is to keep everything together and easy to access. The Bullet Journal does all this- and a little bit more. Keep your notes, lists, confirmations, and everything else in one place! Definitely do keep those confirmation emails in a dedicated email folder. And go ahead and bookmark those camping recipes you found on Pinterest. But also take the time to note these things, as well as your intended route, budget, destination notes, and more, in your Bullet Journal. With everything in one place, or notes on where you have filed that information, you won’t waste time searching for something you were sure you saved… somewhere. Do you buy things, put them aside, then forget you have purchased them? Or maybe you mean to pack something, think you have packed it, then reach your destination to find that you didn’t bring it? The Bullet Journal can help you keep all your camping lists current. Don’t forget anything when you use the Bullet Journal for lists and menu planning! 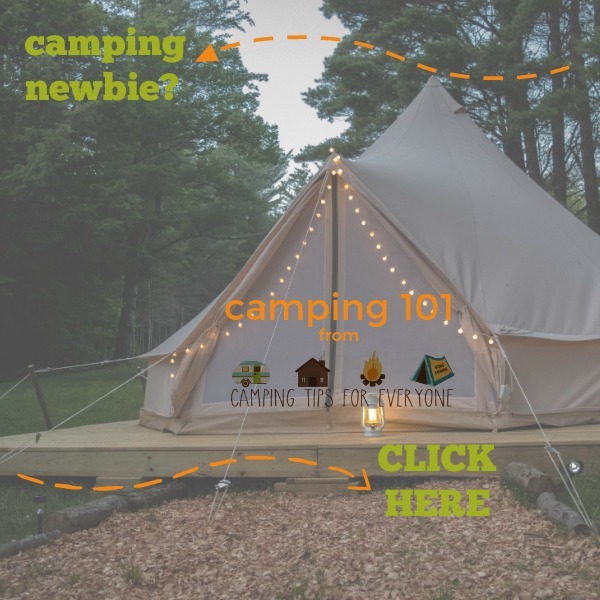 Planning your camping menu- and sticking to it!- may be one of the most difficult aspects of camping. Sure, you have all those ingredients, but without a camping menu planner you won’t remember what you are doing with them! When you use a Bullet Journal as a camping meal planner you can easily notate what needs to be prepped at home and what recipes you need to print before you leave. Keep your daily itinerary organized! Some destinations, like National Parks or popular locations like Niagara Falls, have activities that should be planned in advance. Your Bullet Journal is the perfect place to keep your camping itinerary in order- and keep you from forgetting what you have already booked! Don’t let your vacation memories be forgotten! Sit down each day and jot down a few notes. Highlights. Funny incidents. Interesting facts. Add in stickers or tickets from activities. You might even consider purchasing a small mobile phone printer to keep a few photographic memories in easy access. These are just a few of the ways I use my Bullet Journal as a camping trip planner. But, really, the system is as flexible and expansive as you are. Would you use a Bullet Journal to plan a camping trip?